Discussing Water Rights. A Western Pastime. CELP’s “retired” website has a wealth of information on water resources generally, and CELP’s past work. CELP’s staff and members have published law review articles, white papers and other articles. Read some of CELP’s archived newsletters. Read CELP’s Water Management Strategies (June 2014). Read a recent article on one of CELP’s most important cases, Swinomish Indian Tribal Community v. Ecology. 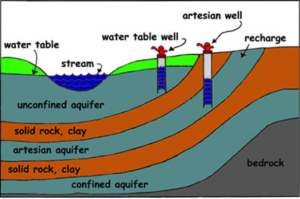 Need help deciphering water resources jargon? Scroll down to the bottom of this page for CELP’s handy water law glossary. Learn about the 2012 State of Our Watersheds Report of the Northwest Indian Fisheries Commission. Water Right is the right to beneficially use a certain quantity of the public’s water for a certain purpose, in a certain place, at a certain time. Adjudication is a court proceeding where the judge determines the extent and validity of water rights within a given river basin. They are costly and cumbersome. 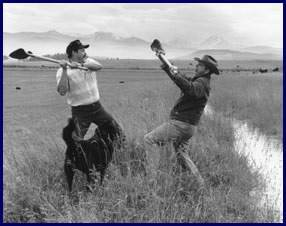 The Yakima basin adjudication has been going on for almost thirty years. Beneficial Use is the both the requirement to put water to reasonable use without waste, to create the basis for the water right, and the measure or limit of that water right. When a water permit is “perfected” by beneficial use, the Dept. of Ecology issues a Certificate and the right becomes appurtenant to the land upon which it is used. Instream flows are a beneficial use of water under state law. If there is a water shortage, senior water right user can “call” a junior water user, which means the junior right goes without. In the Yakima Basin, the City of Roslyn has been curtailed by senior irrigation districts. Changes or Transfers of a water right are permitted after the Dept. of Ecology has conducted an “extent & validity” analysis of the right. The Department of Ecology is charged with the duty to manage water in Washington, because the State is the trustee of the public’s water. Diversion: The point of diversion can be changed when the water right is put to beneficial use, the water right was not abandoned or extinguished and the diversion did not cause injury to other water holders. Forfeiting is common law relinquishment of a water right if unused in whole or part. 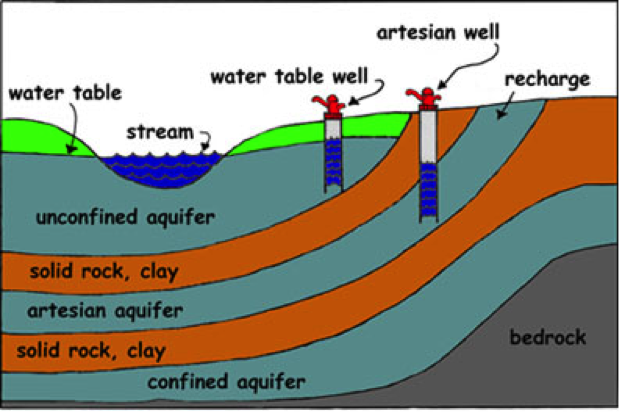 The short well taps into the same aquifer that intersects with the stream: that is “hydrological continuity”. Impairment: occurs when the use of a junior water right (one that came later in time) takes water away from a senior right. That junior right can be a well that impacts a senior well, or a senior private right to surface water, or a senior instream flow right set by rule. Instream flows are regulatory flows adopted by Dept. of Ecology administrative rule under the Minimum Flows Act. Ecology has only adopted 21 instream flow rules. Most of the state—not all of which are adequate to protect and preserve fish, wildlife and recreation. The priority date is the date the instream flow rule was adopted—so they are junior to most water rights in an area. Over two-thirds of Washington’s rivers are without instream flow protection, and some existing rules are inadequate because hydrologic continuity is not factored into the rule. Permit Exempt Wells: are water rights/uses that are exempt from Ecology’s permitting system but are otherwise subject to the Water Code, including the prior appropriation doctrine. The priority date of an exempt well is the date water is first put to beneficial use. Up to 5,000 gallons of water per day may be pumped from a permit-exempt well and beneficially used for industrial or domestic uses. However, the Supreme Court recently held that there is no limit if the permit exempt well is used for stockwatering. Approximately 6500 new exempt wells are drilled annually statewide. Prior Appropriation: In Washington, the oldest water right has priority over more recent rights irrespective of their relative social importance. The common shorthand for prior appropriation is: “First in time, means first in right.” In times of shortage, a senior water right can receive its full allocation, before junior water rights receive anything. If there is a water shortage, a senior water user can “call” a junior water user, which means the junior goes without. In the Yakima Basin, the City of Roslyn has been curtailed by senior irrigation districts. Both groundwater and surface water are managed under the prior appropriation system. Relinquishment of a water right only occurs if the holder “abandons or voluntarily fails without sufficient cause” to use the water for five or more years. There are many statutory exceptions to relinquishment to soften its application in hardship situations. Treaties between the U.S. Government and Northwest Indian Tribes created federal reserved water rights to enough fresh water to “fulfill the purpose of the reservation” and also to fish “at all usual and accustomed places …in common with residents of the territories.” Instream flow rules do not protect (either legally or in fact) treaty rights. Water Resource Inventory Areas: There are 62 administrative and planning areas that delineate the state’s major watersheds. A “watershed” is an area draining into a river, lake, or other water body. One acre-foot of water (the measure typically used to quantify water rights) = 325,851 gallons. Stream flow is generally measured in cubic feet per second (CFS). Nationwide, an average single-family home connected to a municipal water supply system and paying for water from that utility uses around 166 gallons of water a day. This equates to 5000 gallons of water per month, 60,000 gallons per year, or 0.18595 acre feet of water per year. 5000 gallons of water use/day (the amount allowed under a permit exempt well in Washington) equates to 1,825,000 gallons/year, or 5.6 acre/feet/year. Use of public water costs nothing for permit exempt wells and holders of individual water rights. In contrast, customers connected to a water system pay for use of water.